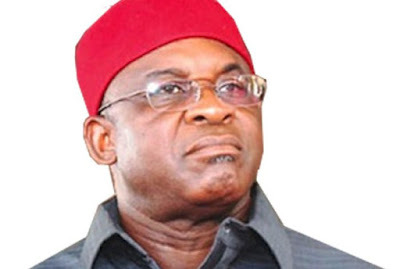 After a two-week of recuperation, former Senate President David Mark was back yesterday at the Economic and Financial Crimes Commission (EFCC) in connection with alleged N5.4billion slush funds. A former Minister of State for Niger Delta, Mr. Sam Ode, is being probed for N2billion campaign funds meant for Benue State. Mark reported to the EFCC at about 2pm. He had earlier presented a medical certificate to the anti-graft agency that he was not fit enough to “be able to write a statement”. The EFCC allowed him enough grace to attend to his health. Mark was at the EFCC office with one of his sons. The allegations against him include alleged N200m -N550m arms procurement cash from ONSA; N2.9billion curious payment into the National Assembly’s account and shared to senators during Mark’s tenure; his role in about N2billion campaign funds meant for Benue State; and illegal purchase of a N748million official residence of the Senate President. A source, who spoke in confidence with TheNation said: “We have resumed full probe of Mark, who came to respond to issues raised for him by a panel of detectives. “He was in company of his son. He was calm during interrogation, which involved the presentation of some of our findings to him. “Altogether, he has more than three cases before the EFCC but we are gradually isolating every issue in which he was implicated. “By the time we release the facts to the public, Nigerians will realise that the ongoing probe of the former Senate President has nothing to do with politics. We have been on some aspects of the investigation since 2015.